Found one file extension association related to Audible for Android and 1 file format developed specifically for use with Audible for Android. Audible, the premier provider of digital audiobooks, now available for Android! 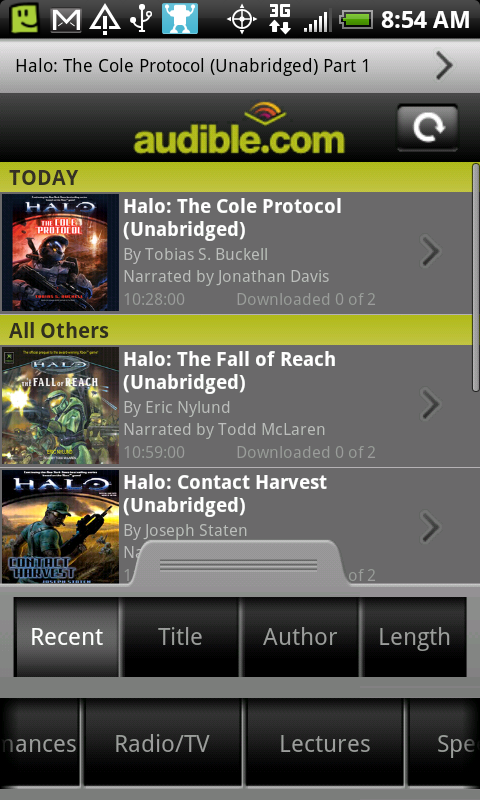 Audible.com, the internet’s premier provider of digital audiobooks and more, is now available for Android! This free app features the most comprehensive audiobook experience ever, including the ability to download from your Audible.com library, detailed listening stats, access to the Audible.com mobile store, and much more. Not an Audible member yet? We’ve included 7 excerpts from some of our favorite authors to get you started. If you need more information please contact the developers of Audible for Android (Audible, Inc.), or check out their product website.